Water is hot at 211 degrees; at 212 degrees it boils and produces steam, something that can power machinery such as locomotives. The one extra degree of intensity makes all the difference. One degree is a small thing, but in reality it can make a big difference. If you are a person who is responsible for guiding the Bible study of a group, can you imagine what becoming a 212 degree teacher might mean for your group? If something is worth doing, it is worth doing with intensity. How many things might you do as a group leader that seem small, but could yield big results? Coach Vince Lombardi once said, “Inches make a champion.” He knew that just a few extra inches of effort could be the difference between getting a first down or having to punt the ball away. A few extra inches could be the difference between falling short on fourth down, or making the game-winning touchdown. Little things matter. Little things make all the difference. American writer and business person Elbert Hubbard (1856-1915) said, “The line between failure and success is so fine that we are often on the line and don’t know it. How many a man has thrown up his hands at a time when a little more effort, a little more patience, would have achieved success.” How many Bible study leaders might make a big impact if they only hung in there a little longer, studied a little more, searched for just the right illustration to share, or wrestled with the biblical text another hour until they truly grasped the depth of meaning? Is it possible that just one extra degree of intensity might make all the difference for the members of a Bible study group? What might a 212 degree teacher-leader look like? What might they do to raise their intensity level just one degree? I’m sure you could continue adding to this short list. What else might you add? What are some little things a teacher-leader might do that could make a big difference? 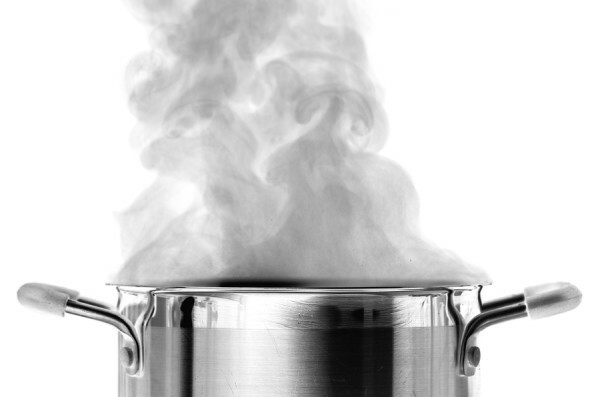 Remember that water boils at 212 degrees. At 211 degrees it’s only hot water. Mr. Ken, Of all the posts you have made for small group leaders, this is far and away the very best! Thank you for your dedication to your work. God Bless!